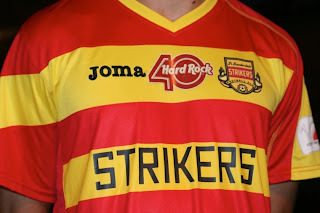 Striker Likers: Strikers Jersey is Upon Us! Say what you will, and I hope you do, the Fort Lauderdale Strikers 2011 jerseys are here! 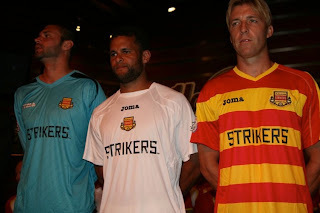 When the logo was introduced a few days back sans any black, I was worried that our team shorts would be the same charcoal grey, but behold the new Strikers kit, very classic and luckily for Joma, no need to redesign anything they had already in the production line. 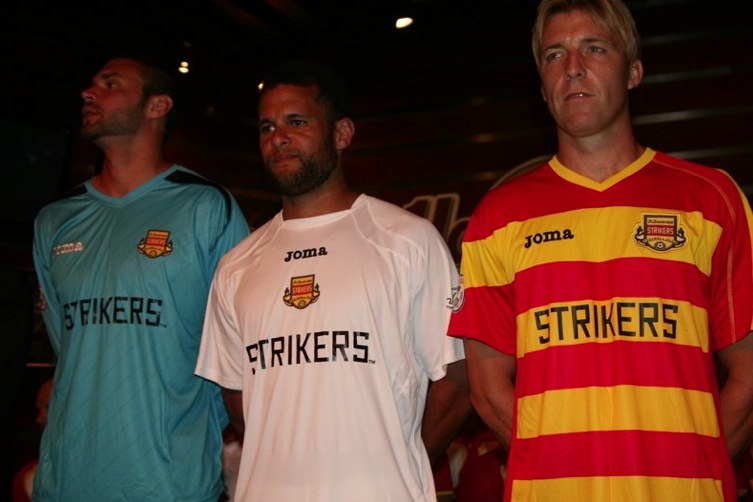 At first glance anything Joma may not perk your fancy all that much, but let it sink in and enjoy the fact that we're back! We look damn good too! 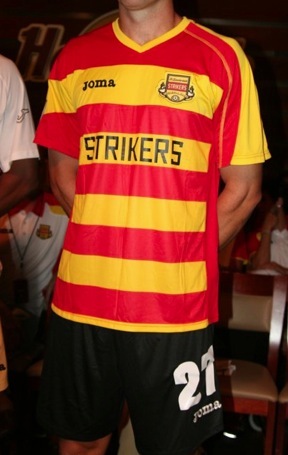 From afar, the new logo has a very classic, european football look. Sidenote: the FC Tampa Bay (we're not the Rowdies) are revealing their kits tomorrow. Let the rivalry begin.